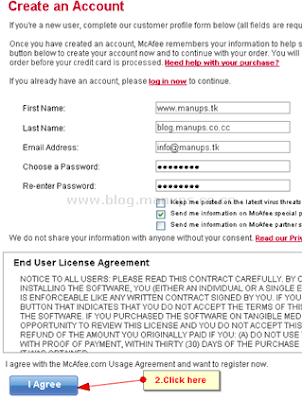 You will be required to register for receiving the 1 year –3 user activation key. Sorry! You Missed This Special Offer!! Yes.. offer expired.. Subscribe! Never miss another useful article again! why i have register but it will not send activation link why plz give me reason? Hi Kiran Aryal, I'm sorry McAfee Antivirus 2010 With 1 Year Original License Key promo offer was expired.